I just watched Batman: The Dark Knight (the older one) — and was blown away. The first lesson: the concept of ‘Batman’ is to be a symbol — a concept to empower others. Which means, you can be a Batman, and inspire others. The concept of ‘Batman’ is justice, fairness, and he is a ‘silent guardian’ who becomes an outcast of society— in order to protect the weak. Also note in terms of the cinematography— how you have a scene where there is a ‘frame in a frame’ — by having the camera film a TV screen. In today’s world, would we see these news on our TV’s— or on our smartphones or laptops? But the moral lesson: If there is something you believe deeply in, become a symbol. Devote your life to serving others, to inspire others to do so as well. When you make a photograph, or shoot a film — try out the same composition. Split the frame in half— put nice lights on the left (or right) of the frame. Have the other side be dark and black. And keep your subject centered. 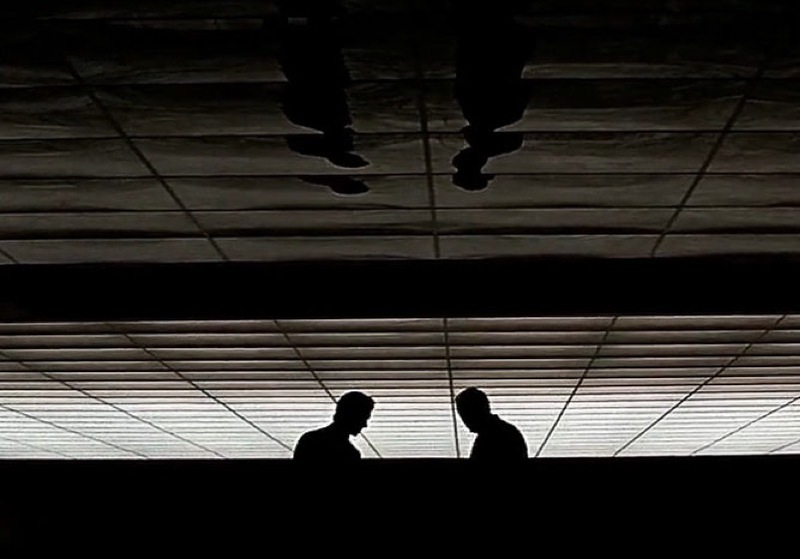 For drama, start with a wide shot, minimalist— just a silhouette. And pan closer. Then make sure the outlines of your silhouette show up. In photography, use minus-exposure compensation. Darken your photos, and make sure the subject has good negative space around them. Note all the red leading lines points to Alfred (far right in the frame). Note the balance of Alfred on the right, with Bruce Wayne in the far left. The sad scene: when they shut down the Batcave. Note how critical it is to have the silhouette of Bruce and Alfred (their black heads against the white lights). Note the beautiful reflection on top of the frame. Lesson: Integrate more leading lines in your frame, and shoot from a low angle (with a wide-angle lens). Make sure to also have the silhouettes of your subjects show up clearly. Also symmetry helps. Another leading line to show speed, and to make a scene more dynamic. Watch all the Christopher Nolan/Christian Bale Batmans. They are the best. They are dark, raw, visceral, have deep moral dilemmas, concepts of right vs wrong, and question human morality. The ultimate takeaway point is this: YOU CAN BE BATMAN. Wear all black. Treat your clothes like your armor. Risk your life in serving others Fight for the greater good. Protect others, especially the weak.